Kelowna has become the destination for tasty food and great wines. Celebrate farm to table and grape to glass beyond the incredible restaurants by attending one of the many events designed to showcase local food and wine. Here are a few events you can enjoy this summer, be sure to get tickets soon as they all will sell out quickly. A self-guided tour of 8 - 9 beautiful gardens scattered throughout Kelowna and West Kelowna. Master gardeners, artists, demonstrations and a gourmet concession will be on-site. You can enjoy food and wine along the tour. You’ll love this scenic and fast course set amongst beautiful mountains and Okanagan Lake. Choose between the 5km, partner relay or the 21km options as you run through the vineyard and along the lake. Your reward after running is the post run wine, beer, cider and music festival. Le Dîner en Blanc is an elegant large-scale picnic started in Paris that takes place in a secret location, revealed at the very last minute. Guests meet at various meeting points around the city dressed in white and gather together at the secret location for an evening of food, wine, and dancing. A unique wine-paired dining experience that takes place al fresco, with your evening beginning with a reception as the sun sets over Okanagan Lake. Private Events Chef Adam Vaughan will showcase the seasonality of our region&apos;s terroir with each dinner offering a unique reception and three-course, wine-paired menu. ‘Sourced’ is a farm-to-table dinner series that is re-imagining what it means to eat with hyper-local dinners that tell one edible story at a time. 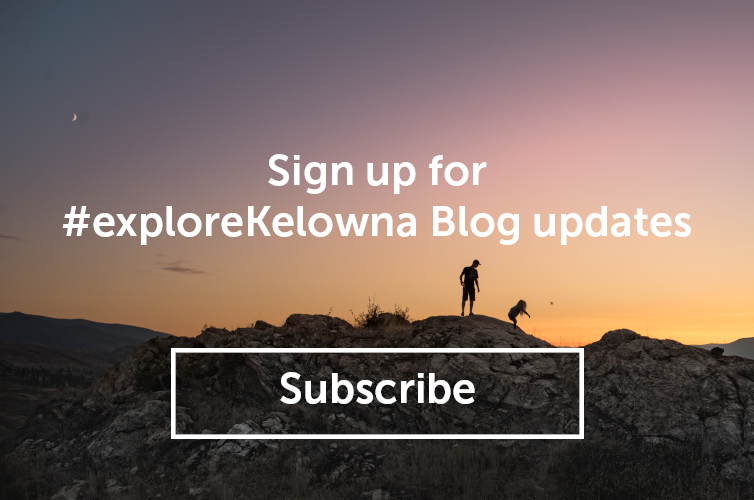 Taking you on a road trip across the Okanagan, every host venue and dinner is different, and so are the unscripted and unfiltered stories. The series is all about trust – in your farmer, the local ingredients and the person cooking for you, so every time the menu is a surprise. Enjoy top-notch music and entertainment, family activities featuring a Kids Zone, a beverage garden, market vendors, and great barbeque ribs and chicken from our out-of-town Ribbers, along with a variety of food and beverages from local food vendors all three days of RibFest.